Market research group NPD has revealed some key reasons why it thinks consumers have been slow to adopt either of the two high definition disc formats. In a new report it provides some insights into consumer perceptions about Blu-ray and HD DVD discs and players, and how owners are taking to the new formats. NPD says that the target audience for Blu-ray and HD DVD is current HDTV owners. Among those who do currently own HDTVs, 52 per cent are apparently familiar with the availability of high-definition DVD players, but only 11 per cent expressed strong intentions to buy one in the next six months. What's more, up to 73 per cent of HDTV owners reported that their current DVD player still works well for them, so they do not need to replace it. Some 62 per cent also said they'd wait for prices of high-definition players to fall before they made a decision to buy. "Large numbers of consumers already understand what a high-definition player is, when it is associated with one of the two formats; however, consumers' knowledge of the HD DVD format is more prevalent than for the Blu-ray Disc format," says NPD. "While 29 per cent of respondents were aware of HD DVD, just 20 per cent had heard of Blu-ray Disc. Consumers who purchased a Blu-ray Disc player reported that they did so because they believed it was superior to HD DVD; while those who purchased an HD DVD player did so because the price was lower than a Blu-ray Disc player." According to NPD, familiarity with these formats is primarily coming from exposure to marketing, especially via television adverts. Forty-one per cent of people who said they were familiar with Blu-ray Disc players gained awareness through ads and commercials. The same is reportedly true for HD DVD. Nearly one in five consumers said they learned about the devices from friends and family. "The format war continues to be a primary operative issue when it comes to determining the long-term viability for high-definition DVD technology," said Ross Rubin, director, industry analysis, consumer electronics. "However, there are other more basic short-term obstacles blocking acceptance. As HDTV penetration continues to grow, manufacturers and studios will need to do a better job imparting the benefits of these formats to a consumer base that still reports a high satisfaction with the current DVD standard. "Falling prices and the arrival of new dual-format devices can alleviate consumer concerns about investing in a losing standard," said Rubin. 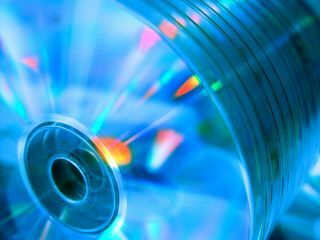 "But, as was the case with proposed successors to the compact disc, both camps will lose if consumers don't embrace a higher-quality disc format. The clock is ticking as every major digital lifestyle stakeholder is blazing a direct path to the living room." Difficulty in communicating the high-definition message is compounded by the relatively small amount of available content in either of the two formats. NPD's research shows that the overwhelming majority of DVDs purchased by high-definition owners are standard definition (64 per cent). However, the primary reason consumers reported buying a traditional DVD was that the high-definition disc was not available. "Once consumers become convinced of the superiority of high-definition, and find ways to navigate the format issues, there will be a great deal of pent-up demand for HD DVD or Blu-ray Disc content. The film and video industry must now focus on getting that message out to the 32 million HDTV owners who are currently just sitting on the sidelines," said Russ Crupnick, vice president of NPD.